If someone had told me I'd hate winter in southeast Queensland I would have scoffed. In fact, I did scoff. Newly arrived from Melbourne in July of 1993, I found it difficult to believe anyone in this enchanting sub-tropical region would complain about a 9C start to a winter morning. I was used to a zero-degree wake-up. But that was more than two decades ago and now I'm a local who hates the chill of winter in southeast Queensland. Escaping to Europe every Australian winter is the ideal scenario, but not so easy on the budget. Best alternative? Head north. Cairns is beautiful in the winter. Gone is the hair-frizzing humidity of the summer months, finished are the heavy tropical downpours of January and February and over are the sweaty nights of restless sleep. Ahead it is just blue skies and sunshine with average temperatures of 25C from June through to the end of August. Swimming every day, cool nights without need of heavy jackets, lush, tropical growth at every turn - there is a lot to appreciate in a northern escape. Cairns seems to be booming now. Cranes dot the skyline along The Esplanade, the handsome Cairns Performing Arts Centre is just about completed and ready to open after the former lesser building was razed. The arts centre overlooks Munro Martin Park where the fairy lights in the trees twinkle magically at night. This restful park in the heart of the city is an oasis of tropical style with vine-covered walkways and lush lawns leading to an enormous stage, the place for free concerts and events throughout the year. The reef might have had its unwanted share of bad publicity over the last few years but the boats are leaving the Marina every morning loaded with passengers for a big day out - so something good still remains out there. Food tastes better in the north - maybe it's the colours of the tropical fruit at Rusty's Market, those big golden mangoes, giant avocados and vibrant limes. They sell for just a couple of dollars, even less if you poke around the market at closing time and vendors, keen to get rid of their product, practically give it away. Fresh seafood - oh my - this is the place to let yourself loose. The coral trout is crumbed and moist and delicious at Salt House Restaurant on the Marina and comes with excellent rustic chips and views of the mountains and ocean on Trinity inlet. It is as Tropical North Queensland as it gets. Swimming in The Lagoon on The Esplanade could be a daily experience, especially if you get up early and join in one of the free fitness classes before. The Lagoon with its sandy beach, grassy surrounds and clean, blue water is both relaxing and invigorating, and then it's just a few steps across the road to restaurant paradise with more choices than you can cope with. 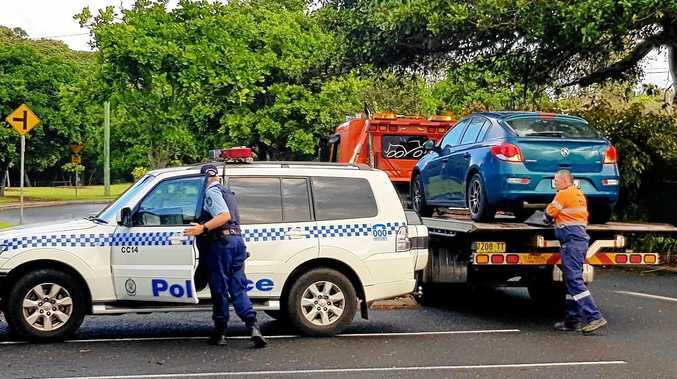 You can live cheaply in Cairns if your budget demands it. The Lagoon is free, as are the many art galleries dotted around the city. A walk through the lush rainforest of the Botanical Gardens costs you nothing. If you are fit, a hike along The Red Arrow is free and will reward you with yet more verdant rainforest and a spectacular lookout at the crest. 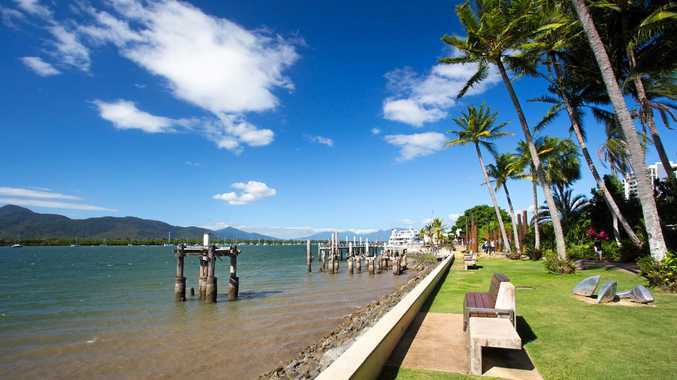 Accommodation options are many in Cairns with plenty of hotel choices from the high end to the budget. But if you are looking at a long winter break, an apartment is best, especially one close enough to town to make walking the best choice, and there is a wide variety of apartment choices available. So come June, or even earlier if you feel cold, head north.